I didn’t discover the joys of Trinity Guildhall’s theory exams until after I had already taken the slow and arduous path of studying for ABRSM’s Grade 6 and 7 exams. I passed both of them, but the materials available for study made the whole process seem both mysterious and dull. Then, I discovered Trinity’s exams and have hence forth switched over to them for all my students. Trinity’s Grade 8 is considered by ABRSM to be equivalent to AB Grade 6, and as I had already passed that exam, it was the diploma syllabus that caught my eye. The AMusTCL is the first level of the diplomas offered by Trinity, and I’m planning to attempt it in November this year. 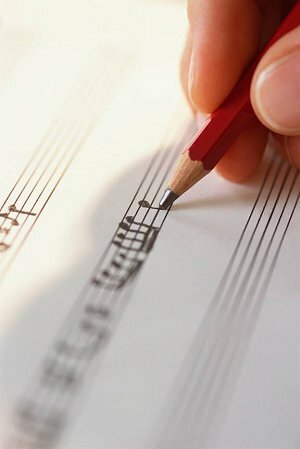 Section A covers the harmony material required by ABRSM. There are five different questions, and candidates attempt either two or three depending on what they’ve chosen for section B. The options are: harmonise a Lutheran Chorale, orchestrate a piano reduction for a classical orchestra, complete an early romantic piano piece, compose your own melody using non-traditional harmony, and complete a popular song from the chords given. Section B is a little different. This is a question on a set work. Currently, the set works are Schubert’s Symphony No 5 in Bb minor and/or Stravinsky’s Symphony of Psalms. Candidates can study one or both. Those who study both do two questions in section A, and those who study one do three questions in section A. There’s an essay question about the general form and shape, and then a more detailed analysis question on the harmonic structure in a given phrase. Section C is a “listening” question, with options to choose from two set arrangements of a piece, a selection of modern popular music albums, a selection of film soundtracks and a selection of musicals. This is an essay question only, drawing mainly on the listening/watching and the relationship between the music and wider issues – everything from character and plot to the politics of the age. Trinity don’t give much in the way of study guides, with only some brief notes and one past paper over and above the syllabus, so it’s going to be an adventure! The exam is in a little over 15 weeks, but I’ve bought my score for the set work, obtained copies of all the musicals and worked through the Trinity books up to Grade 8. By taking the AMusTCL, I’ll have a theory qualification that will allow me to take an LRSM exam in teaching in the future, and I’ll also be much better equipped to teach my students not only about harmony, but also about reading scores and understanding music in context. If you click on one of the social network buttons on the top, you can keep up with my adventure into advanced theory by liking Discover Singing on Facebook, following on Twitter, or adding my RSS feed into your Feedly (or other rss reader) account. I’ll be back in soon to let you all know how it’s going. Wish me luck! This entry was posted in CPD, Learning and tagged amustcl, theory, theory exams, trinity on 18th July 2013 by .